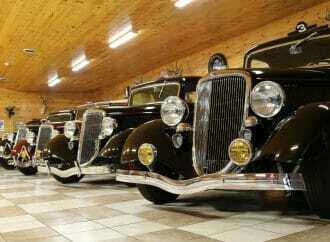 GAA Classic Cars usually stages one of its collector car auctions each March, but this year it’s doing two such sales. 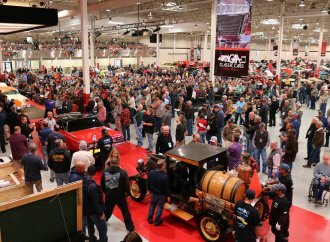 March 1-3 it will host its regular sale at Greensboro, North Carolina, where some 550 vehicles will cross the block, including — and at no reserve — the Gary Copeland Collection of 1932 and 1934 Fords. 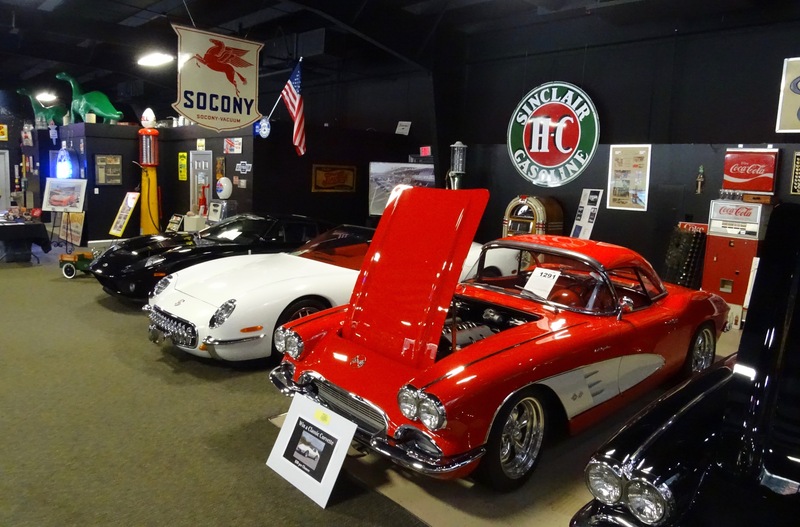 And then, March 22-24, the company will return to it Greensboro auction center to sell the Jerry and June Smith Collection from their Memory Lane Classic Cars museum, also at no reserve. 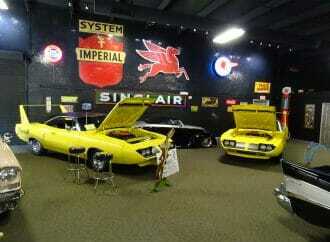 The Smith sale will include around 250 cars, 20 motorcycles and more than 1,000 lots of auto- and memorabilia. After assembling the collection over the last 30 years, Jerry Smith’s health is not the best these days. 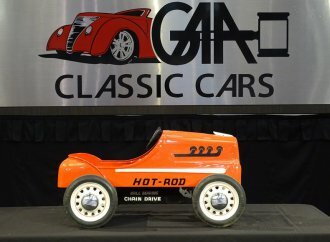 “We went down there (to Eatonton, Georgia) and looked at his place and would have done the auction there,” Barker said, adding that rather than worry Jerry Smith with so many details, GAA suggested it might be best for all to transport the cars to Greensboro. The Smiths visited the GAA auction facility and agreed. 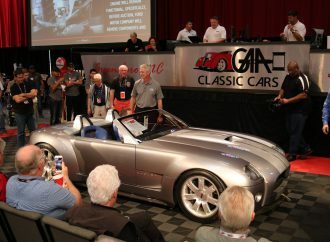 GAA’s facility not only stages occasional classic car auctions, but hosts weekly wholesale auctions that move 3,000 cars each week. Barker noted that it was customers of the wholesale auctions who also were car collectors who asked GAA to enter the classic car sales business. 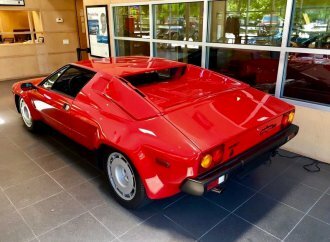 And while it began on a fairly local level, it has grown into a business that attracts bidders from many states and even from overseas, Barker added. Among the cars from the Smiths’ collection on the docket are a one-owner, low-mileage Plymouth Superbird in Lemon Twist yellow, a pink 1957 Cadillac, a 1957 Chevrolet Bel Air fuelie, a 900-mile 2000 Ford GT. 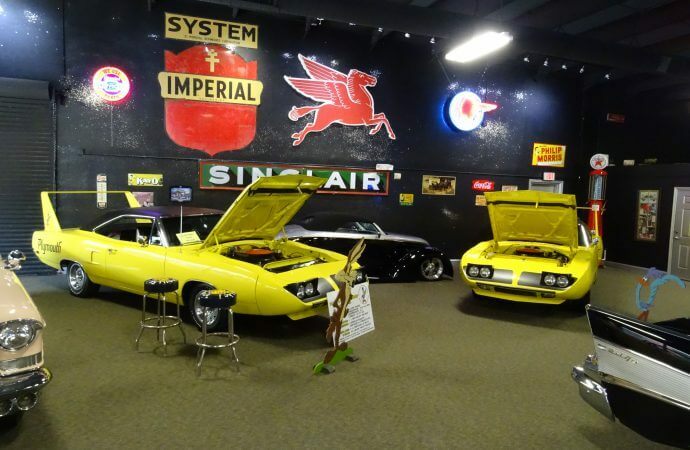 Among the automobilia and memorabilia are a one-of-one Goodyear sign, a helmet warn by Evel Knievel, and two pallets of vintage baseball cards. 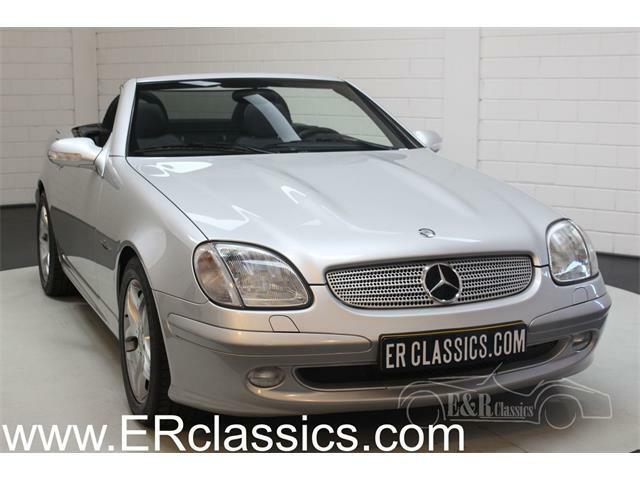 To view the auction dockets, visit the GAA website.